The new Canon EOS 1D Mark III is the first Canon model to add this feature. While this camera may not be practical for most dental offices (the camera is large, heavy and expensive), it shows where the technology is headed and what we can look forward to in future less expensive models. The current Canon Live View system is only available in manual focus mode, but we expect future models to add autofocus capability. Olympus has been experimenting with Live View in a few of their recent cameras, but until the latest E-410 and E510 models, it really wasn't ready for prime time. The new models (E-410 and E-510) work quite well and you can use autofocus or manual focus. Currently, Olympus does not offer a full range of macro lenses and they are missing a macro lens in the 90mm-105mm range for dental photography. Sigma will be releasing a 105mm macro lens for Olympus soon and we look forward to offering an SLR with Live View. We'll keep you updated in future editions of this newsletter. Dust has always been an issue with SLR (single lens reflex) cameras. As they are designed to allow exchanging of lenses, there is nothing to prevent miniscule dust particles from entering the camera. When dust settles on the glass in front of the camera's image sensor, the dust shows as a repeating spot in every photo. PhotoMed is now offering a sensor cleaning system that allows you to examine the camera sensor and then remove the dust with a safe burst of air. The Sensor Scope is a 5x magnification scope that fits into the camera lens mount and, using high power LEDs, illuminates the sensor so you can find the dust. The Rocket Blower forces a strong (but not too strong) burst of air at the dust to dislodge it from the sensor. Complete instructions and phone support are included if you have any questions. Through July 16th, Canon is running instant rebate specials on many of their popular lenses. Click here for more information. We are offering a great deal on Canon's EF 75-300mm f4-5.6 III telephoto zoom lens. As Canon states on their web site, " The optical system, construction, and exterior are the same as the EF 75-300 mm f/4-5.6 III USM’s. The difference is that it uses a DC motor instead of a USM to drive the AF." While supplies last, this lens is only $149. Our Quick & Easy Portrait Package with the Canon 430EX is also on special. Again, while supplies last, you can save $50 on this package. Regularly priced at $439, the Q&E Portrait Package with the Canon 430EX is $389. box panels and waiting months for your rebate! We'll be in booth #1125 at the AGD Annual Meeting in San Diego, June 28-30. In July, we'll be in booth #1001 at the Pacific Northwest Dental Conference, Seattle, July 19-20. Stop by and take a look at all of the new cameras and ask about our meeting specials. 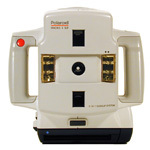 Do you have a Polaroid Macro 5 SLR collecting dust in a closet? We are looking a few cameras and can turn your old camera into new intraoral mirrors, retractors or trade it in on a new digital camera. We only need a few so first come, first served. Click to email us your info.